One of the cult products of all time is Wet n Wild's Lip Liner. Specifically, the lip liner in shade Brandywine, or more infamously known by its shade colour #666. I know the number may seem a little weird to some, but hey, it's makeup, and it's a cult product that comes with lots and lots of recommendations, so I figured I'd try it out. When I lived in Chicago, I spent 3 years (yes, THREE friggin years) trying to hunt it down, but the elusive sucker totally avoided me for all that time. But what do you know, in my recent trip to the US, I actually got my hands on this baby! So here you are - the famous Wet n Wild Brandywine 666 Lip Liner! First up, I have to say, the Wet n Wild pencils are super long. They are like 17cm (6.5in) long, making them officially the longest lip pencils I have ever seen! That's cool. You get such a nice long pencil for US$0.99. Value for money, I say. There are only 4 (I think) shades in the Wet n Wild Lip Liner Pencil family, and #666 Brandywine is by far the most famous, as it's often touted as a universal shade that looks good on everyone. 666 Brandywine is a nice plummy brown red with fine gold shimmer. Although I've heard this shade described as a brick red, I don't think it quite fits the bill - sure it's heavy on the red, but it's also pretty brown, and the hint of plum makes it a little less "bricky" looking. And here it is swatched on my lips. The colour is pretty much the same in my swatch as on my lips. On my lips, it actually shows up as a pretty dark shade, and I suspect that it may not work out for everyone, just because it's a little dark. Also, on my lips it's pretty heavy on the brown. Texture-wise, the Wet n Wild lip pencil is alright. It's a little on the dry side, and it tugs, so I'd recommend that you use some balm together with the lip pencil. That said, I don't think it's any drier than any other lip pencil. I remember the Bobbi Brown Lip Crayons being almost as dry, to be honest. Although I liked this, I would probably like it better if it was lighter and pinker. Still, though, for $0.99 it's a good shade, and I won't complain. Perhaps this shade isn't my favourite type of shade, but it is a great almost-vampy, but not vampy, shade. I imagine on ladies with a deeper skintone, this would be a gorgeous neutral lip shade. 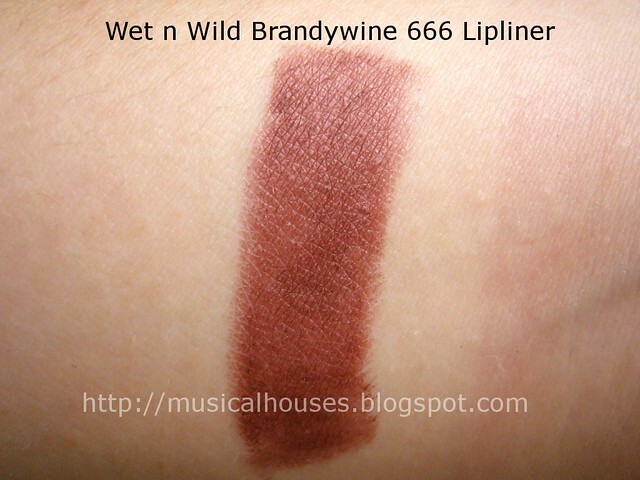 The Wet n Wild 666 Brandywine lip pencil would be a great shade if you love brown-based shades and deeper colours. 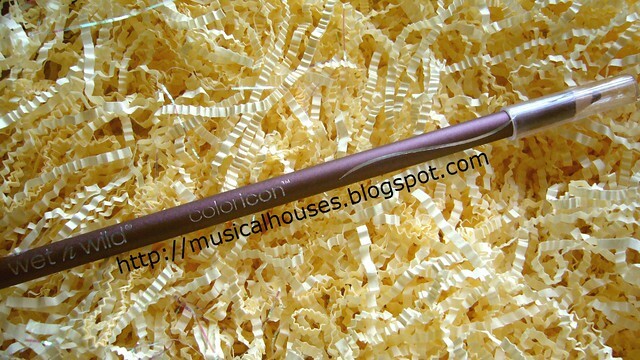 This pencil lives in my makeup bag and even with daily use lasts a looong time. I find it works well with most lipstick shades. Nice shade of lipliner, this one is a good deal for almost a dollar. Does this come out with different color? 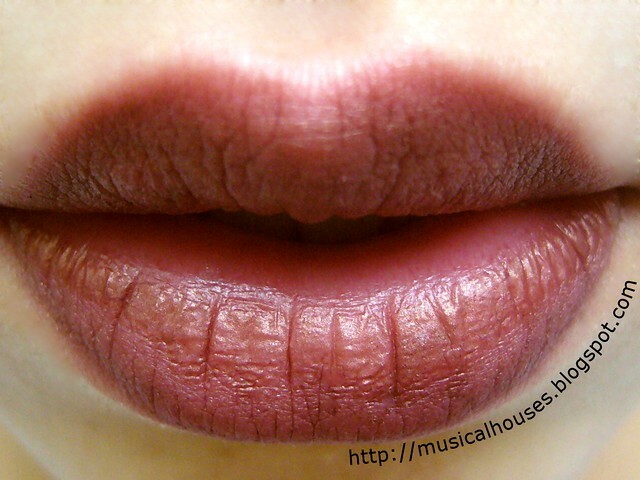 I think that in the 90s it was more popular to have a dark brownish lip like this, even on pale girls, and that may be where the "universal" reputation comes from. Whofilets nailed it.. the trend has changed to more light nudes.... but this is and has been for 20 years a staple in my bag!